Hiding beneath the surface of a spiky, protective rind, a ripe pineapple fruit has a juicy, firm flesh, much coveted for its refreshing zing. Fresh fruits are ideal for coring and slicing or served chopped in a fresh, fruit salad. 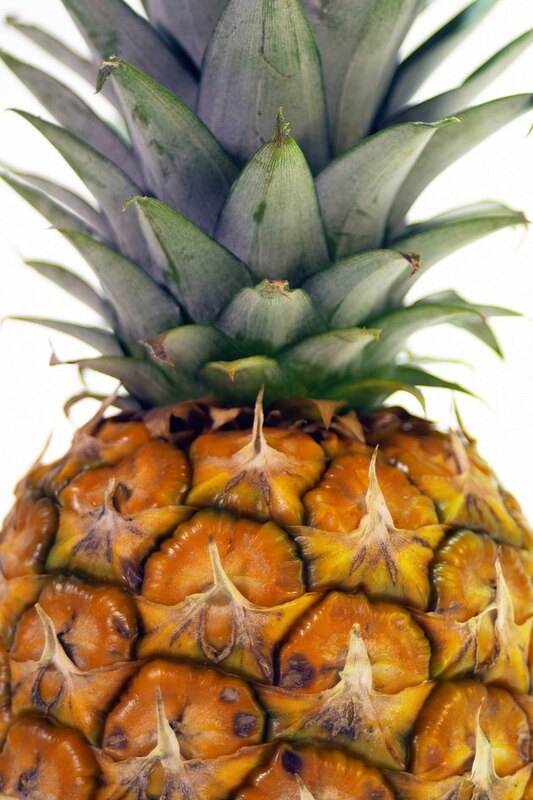 For the best taste, a pineapple should be allowed to ripen on the plant before it's harvested. If you are unsure of the harvest date, you'll have to rely on your senses for premium pineapple selection. The larger the pineapple is, the sweeter the fruit. Look at the surface of the pineapple. A yellow-gold rind indicates ripe fruit. 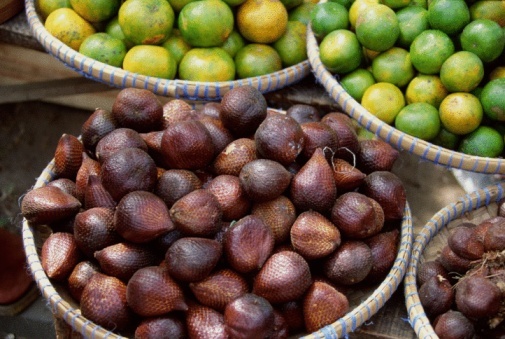 Avoid buying a green pineapple unless you are prepared to allow it to ripen. Examine the fruit to verify that it is not split, obviously rotten or leaking. Throw away a pineapple that is red or dark orange as these are indications of rot. Pick up the pineapple, and turn the base of the fruit toward your nose. Sniff the pineapple to detect a light scent. Allow a pineapple that doesn't release this scent to ripen a bit longer. Hold the fruit carefully, turning the spiky flesh away from your skin. Use both hands to give the fruit a gentle squeeze. A ripe fruit feels firm, but squishy.